by its founders, Matt Mullenweg and Mike Little, as a fork of b2/cafelog. 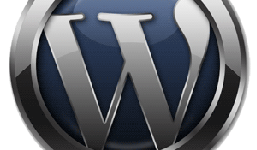 As of September 2013, version 3.6 had been downloaded more than 6 million times.Learn how to use WordPress for website design. ISP host. Hands-on, live instructor training in Miami (Doral), Ft. Lauderdale, and coming very soon to Ft. Myers, Tampa, Orlando, Lakeland, Ft. Pierce and a city near you… REGISTER NOW – GET A FREE DVD WP COURSE & RETAKE VOUCHER! In our Hands-on WordPress Website Training Course you will learn how to use one of the most popular and practical website building tools available. WordPress WebDesign Training Orlando - New Media, New Marketing, Inc.